We don’t know where summer disappeared to here at Nicol Estate Agents, what with us being so busy opening our Clarkston branch but we hope you have had a brilliant one! 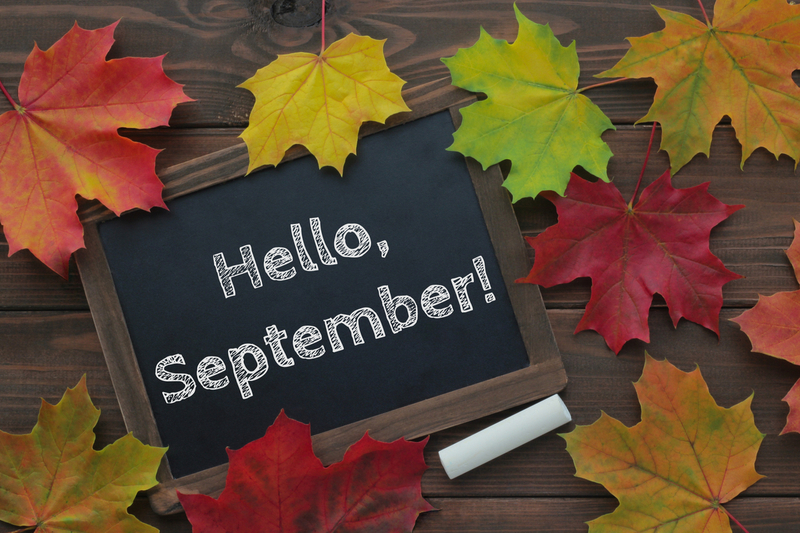 There is certainly a lot on offer to keep us busy as we head into autumn and we have rounded up the best events happening this September, courtesy of the ever-helpful What’s On East Renfrewshire. We have had a very busy time ourselves, getting our new Clarkston shop ready that recently opened at 1 Helena Place, Busby Road, G76 7RB – a very exciting time for us indeed! We are very much looking forward to reaching even more customers and meeting the increasing demand we have enjoyed in East Renfrewshire to date. To celebrate we are also offering a special discount deal, with 50% off our standard selling fees to home sellers in the area – more information here! Hosted by Yoga Fun with Debs, this yoga workshop suitable for all the family is back by popular demand! Connect with yourself and your loved ones through breathing exercises, movement and lots of laughter as the class moves through a simple yoga sequence together that both beginners and the more experienced yogi will enjoy. You and your loved ones will leave relaxed and rejuvenated having spent your Sunday doing something a little bit different. Suitable for children ages 5 and up. Additional workshop dates in October and November. Laugh out loud whilst raising funds for charity, at this evening with one of Scotland’s best comedians, Des Clarke. Organised in the community by Newton Mearns veterinary practice, Vets4Pets, and in aid of Spina Bifida Hydrocephalus Scotland (SBH Scotland) the Glaswegian comic and Capital Radio host will hit the stage to perform his hilarious stand-up and show his continued backing for SBH Scotland who provide care and support for families affected by Spina Bifida and Hydrocephalus. After the laughs there will also be a chance for a dance and to take part in a raffle and auction offering some brilliant prizes! Tickets can be picked up at the practice in Greenlaw Village, Newton Mearns or can also be purchased by calling 0141 639 3636 or emailing lorna.dempster@vets4pets.com. Take the chance to take a peek inside and learn more about the history of some of the best local historic buildings and gorgeous greenspaces in East Renfrewshire over Doors Open Day weekend 2017! Each year, Doors Open Day offers the opportunity to visit buildings in private and public ownership that aren’t normally open to the public. There are 11 buildings in East Renfrewshire due to open over this Doors Open Day weekend, with highlights including guided tours of Giffnock Synagogue, Barrhead Men’s Shed and Neilston Parish Church as well as guided walks in Cathcart Cemetery and Greenbank Gardens. Enjoy a weekend of exploring and connecting with your local area! Seize the change of the season at Greenbank House and Garden’s Autumn Celebration! Creative kids will love autumn inspired crafting, including Nature Nippers Woodland Arts and fun seasonal activities like fishing for pinecones. The gardens will be open to explore and tasty, hot refreshments will be served up in the café. Come join the family fun! Rock n roll down to Eastwood Park Theatre to catch all the Buddy Holly hits this September, performed by the brilliant Buddy Holly & The Cricketers! Having played worldwide for 25 years, bringing their cover versions of ‘Peggy Sue’, ‘That’ll be the Day’ and ‘Oh Boy!’ to Buddy fans across the globe, take the chance to catch them right here in Giffnock whilst you can. You’ll be transported back in time to the golden age of rock n roll and be boogying in the aisles all night long! “Buddy brilliant!” said BBC One’s Graham Norton.